You Feel Hungry Often?? Here are few tips to curb/ control your hunger. Whenever i come across people who want to loose weight, the most common problem for them is to control their hunger. Since they fail to control their hunger they do not succeed is loosing weight and hence are demotivated. 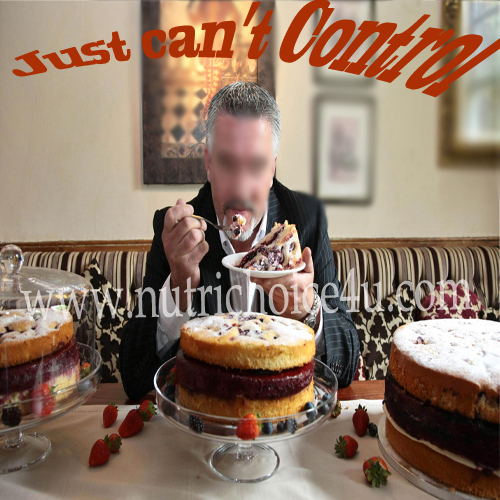 So to motivate the new dieters its very important to know the ways in which they can control their hunger and there by follow a particular diet given to them. It’s very easy for a Nutritionist or a Dietitian to prescribe a weight loosing diet to their clients or patients but at the same time it becomes very important to teach them the ways and give options in which they can control their hunger and stick to the prescribed diet. For me it’s very essential that your clients or patients to know importance behind the food prescribed to them. When you are hungry and also want to control your hunger at that time , the best choice of food would be zero calories food i.e food which gives as minimum as 25-30Kcals. So the time when you start getting hunger prangs make sure that you choose your food very wisely or as recommended to you. I have listed few ways which will help you to control/ curb/ suppress your hunger. 1. Small frequent meals. Its one of the most important point for every individual. We eat food mainly for one reason that is, it gives energy and apart from energy for taste. There are many functions of the body which require constant supply of energy. So this motto is very well achieved if you eat small calories at regular intervals. When a large portion of meal is consumed at once body utilizes the required energy and the surplus energy is wasted and is converted into fat for a simple reason that our body has certain capacity to absorb nutrients and if supply is more than demand then definitely the extra is wasted. So choice is all yours. In order to make optimum use of nutrients eat small meals at regular intervals, it will help you to make a better choice of food and also keep you away from habit of unhealthy snacking. 2. Slow and sturdy wins the race. Its a very old proverb which is also justified here. as we all know that all our actions are controlled by brain. For our stomach to pass message to our brain that its full takes around 10 mins. So if we eat slow 10mins are enough to sense the fullness. But when we eat fast we tend to eat more without realizing the quantity ad by the time we get signal from brain to stop eating we have already overeaten the food. For this reason from our childhood out elders teach us to eat slow. 3. Water and Clear soups. Water is a best friend of a dieter. Whenever you are hungry, its cheaply available and is healthiest of all. It removes all toxic from the body. If you are at home and not in mood to drink water, then you can try some non fat clear soup with combination of green leafy and veggies but no seasoning with oil, ghee, butter, margarine etc. Having these fluids just before your meal is also a good idea to reduce intake of the main course which is generally calorie dense. 4. Do not skip meals. A very bad habit followed by most of the dieters to loose weight. They feel skipping meals is less intake of calories but its important for dieters to know that its not just about less calories but also about even distribution of those little calories in all meal throughout the day.IF you skip meal means you are hungry for long hours. Keeping yourself hungry for so long converts your hunger into cravings which is all the more difficult to control. The most important meal which cannot be skipped is the breakfast. Benefits of breakfast will be discussed in other article. eat all meals on regular intervals. 5. Whole grains. Choose whole grains over refined. Apart from phytochemicals it has adequate amount of fibre which adds bulk to your diet. In lesser calories who tend to feel full. So when you are hungry search for whole grain food options. 6. Veggies are dieters best friend and are well of nutrients. They fill up your body with nutrients. Veggies are also good source of fibre which again make you fill full with zero calories. Salads without dressing are good option. you can also stir fry veggies in water along with the required spices and onion garlic to taste. I am sure if you try the above advice you will succeed in controlling your huger and achieve your diet goal. Tips To Gain Weight Naturally Diet and health tips to gain weight/ put on weight/ increase weight Diet Tips for hyperthyroid patients. 4 Responses to You Feel Hungry Often?? Here are few tips to curb/ control your hunger. Thank you a lot and I’m having a look ahead to contact you. Will you please drop me a e-mail?